Audrey Quotient: mid-range. A tad low. She plays "the daughter" in an ensemble comedy. 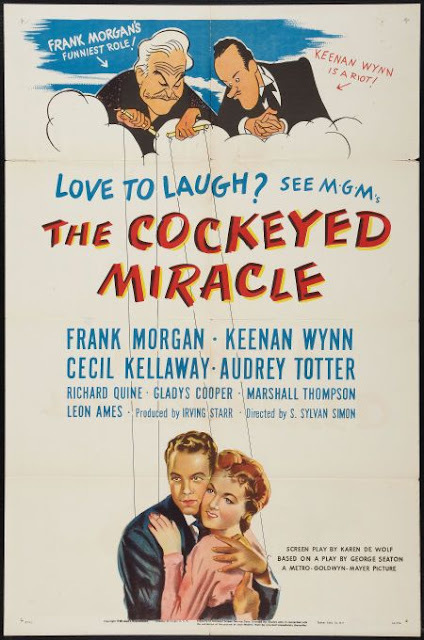 The great thing about novel adaptations back in the day was that they clearly either adapted the movies of books they'd read ten years prior and couldn't remember anymore, or they'd be damned if they were going to finish the book before pounding out a script. 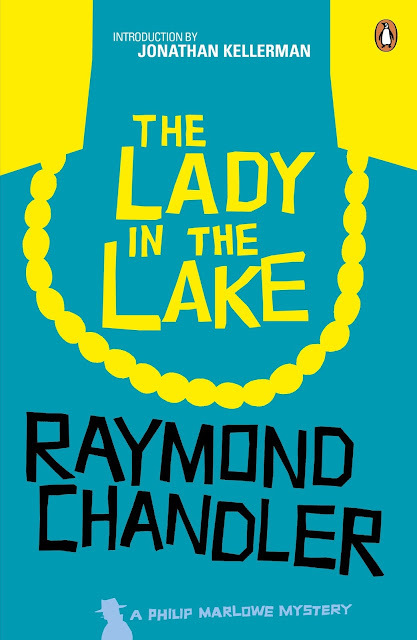 I say this, because I've seen the odd-ball noir detective film, The Lady in the Lake directed by and starring Robert Montgomery at least twice, but more like three times. Why? 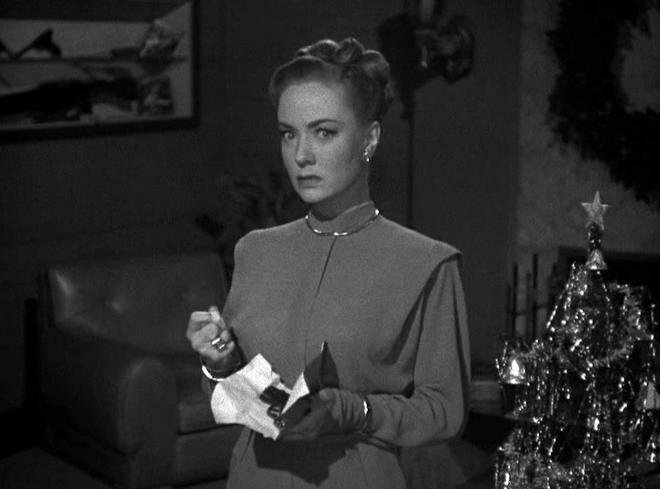 Well, it's a super strange movie told from a first person POV with a windy plot that takes a surprisingly believable break in the action for Christmas Eve, and features Audrey Totter at her Totter-iest. Why, yes, I am going to look right into the camera the whole movie. Why? But I don't really want to write a compare-and-contrast of the film and book. First, only one of you has likely even seen this movie (for shaaaaaame...), and, you know, they're two different beasts. 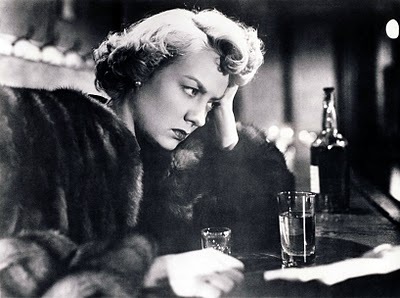 It's Noirvemeber, and I haven't really been doing my duty to keep up. Plowing through October and horror films and then thinking about watching mostly just one genre again sounded like being asked to eat a second turkey dinner on Thanksgiving Day. I may like both genres but, man... So, I have not taken too much of a noir plunge yet this month outside the superlative Fargo on FX. But if we were going to jump into Noirvember, I was either going to do it by watching Narrow Margin and see Marie Windsor bust everyone's chops, or with another one of my favorite actresses of the genre, Audrey Totter. And, man, is she ever good in this movie. I appreciated her the last time I watched the movie, but this time... yowza. So, like a month ago I started watching this movie on a DVD I'd picked up, and got an hour into it and the DVD fritzed out on me. So I got a replacement copy from Amazon (seriously, their return policy is the bees knees), and finally got around to finishing the movie this evening. 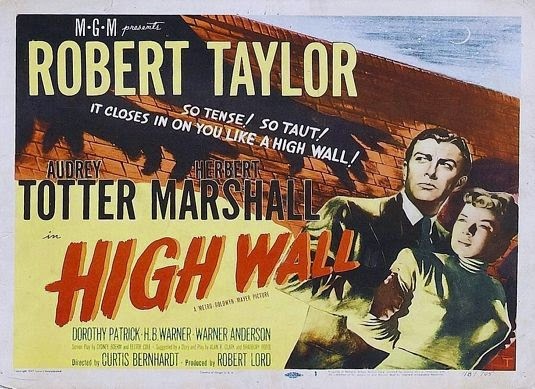 I am not sure I'd recommend High Wall. 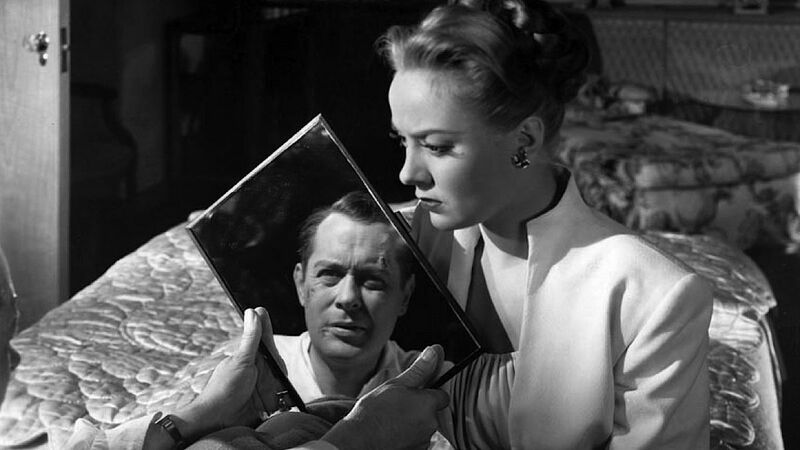 By far the best feature of the movie is that it stars Audrey Totter as a psychiatrist who is not afraid to monkey around with experimental brain surgery and the liberal application of medication. It's only marginally noir, in my book. More of a suspense thriller with noirish undertones. Basically, the movie is about a guy who probably really is, at the very least, unstable following his return from WWII, who comes home to a wife he married in the fog of war, only to find out that she wants someone pulling in more bucks than he's worth now that he's not drawing a military salary. He leaves for Burma to fly cargo and send home paychecks. When he comes home, he may or may not have killed his wife, who he figures is schtupping her boss - a kind of sleazy dude who happens to be overseeing a Christian Book publisher. 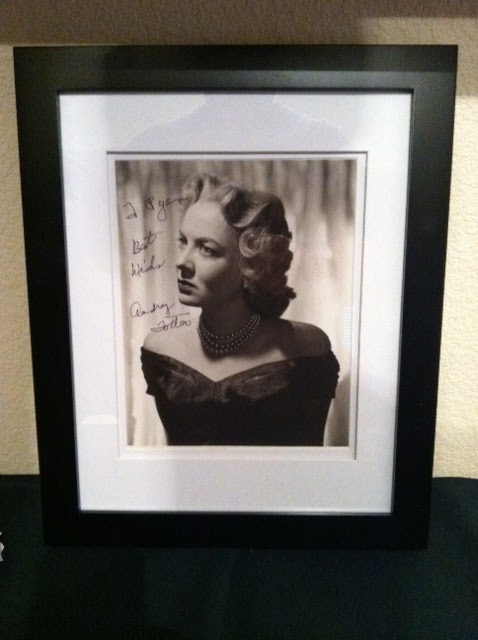 On Saturday, an envelope arrived with a signed photo from Audrey Totter. It also came with a signed note. To put a point on it, while I knew it was coming, I'm still a bit stunned and I know these are items I'll have with me for the rest of my life. I need to show them off here as so few of you will ever be in my living room. I can't thank Eden and her family enough. A truly unique and terrific experience and a very bright spot during a difficult week. Coincidentally, Jason got me a Film Noir set that included Lady in the Lake for me for Christmas, so it's going to be Totter-Rama around my house this week. We may need to re-watch Tension, too. Tomorrow I return to work for the first time since before Christmas. There's a lot to unpack in all that, so I'm trying not to think about it too much, and just get back to my desk and try to remember what it is I'm supposed to be doing at that desk. But, that's it for the start of the week. You guys take care, and we will consider what regular programming looks like at the Signal Watch this week sometime. 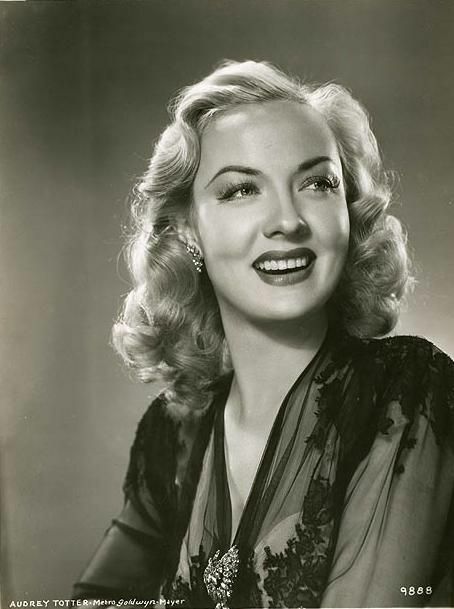 December 20th is the 95th Birthday of actress Audrey Totter! 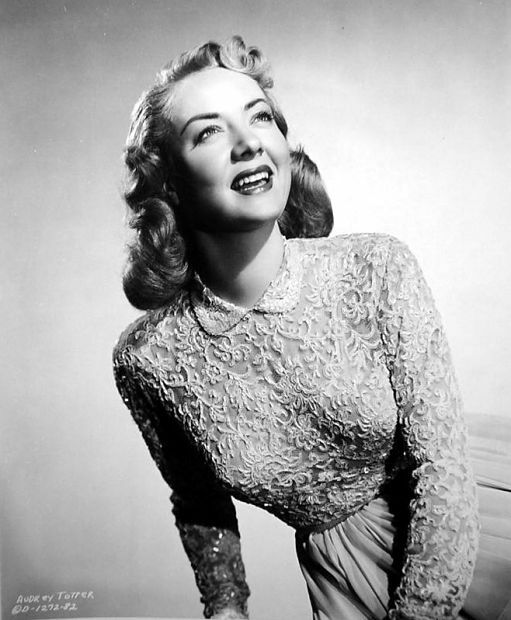 I suppose that makes the timing of this post Audrey Totter-Day Eve. 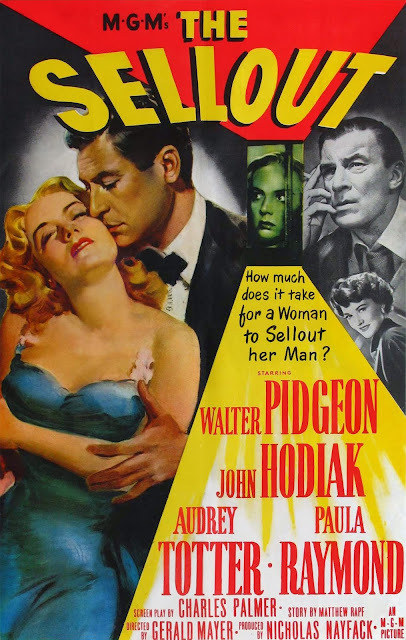 Ms. Totter starred in a terrific run of films, and had one of her breakout appearances as a source of temptation for the always terrific John Garfield in The Postman Always Rings Twice. 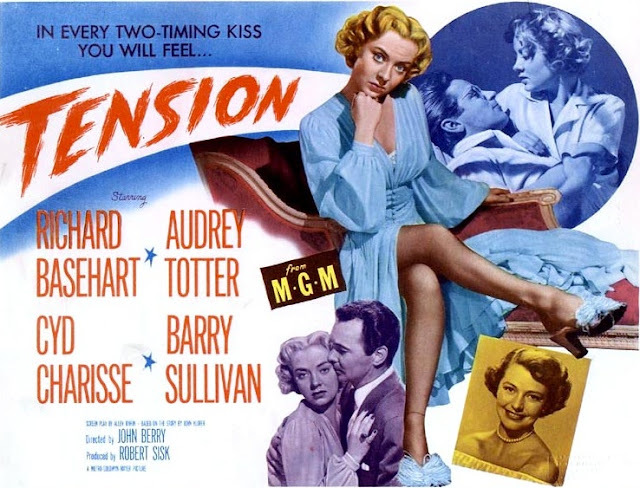 Ms. Totter's character caused a bit of jealousy in Lana Turner. People, if you can give Lana Turner a moment of pause, clearly you're a force to be reckoned with. 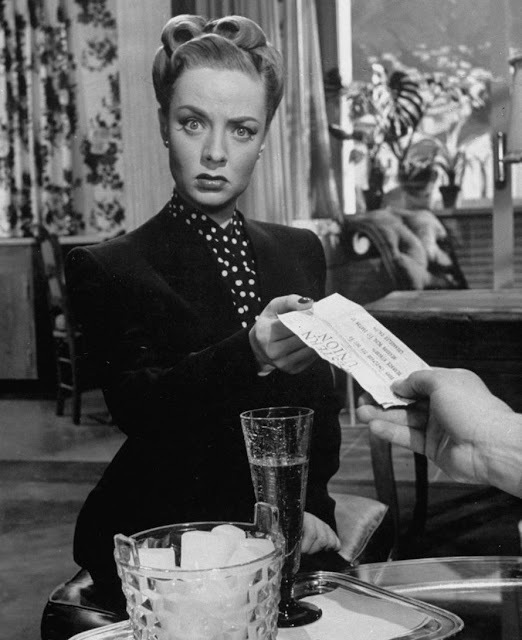 The first movie I saw in which Ms. Totter got top billing was The Set-Up, and it's an absolutely terrific bit of acting under the direction of Robert Wise, but I'd also point you toward Tension, which is a terrific example of noir (and also has Cyd Charisse and Richard Basehart!). In this one, Totter blows everyone else on screen right out of the frame. 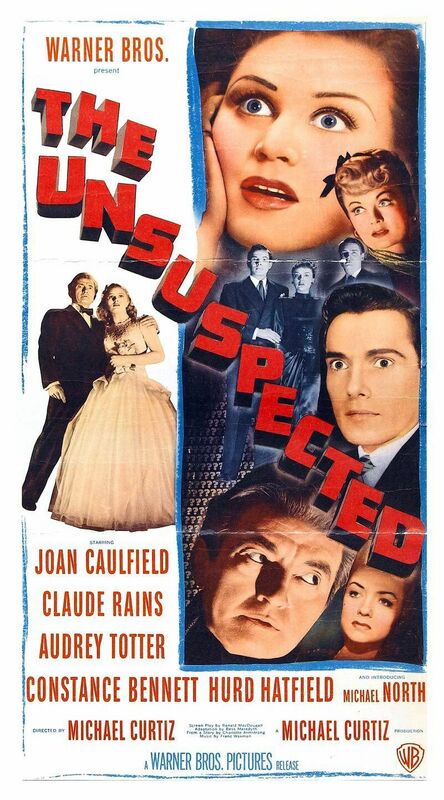 I'd also recommend The Unsuspected to see her alongside Claude Rains and playing a wide range in a single film. That's sort of what I think of now when I consider Ms. Totter's films. She wasn't a character actor, and in all of her movies, she manages to do what better actors pull off - and that's too completely fill the character in a unique way and disappear into the role, but still retain the ability to make you notice them. 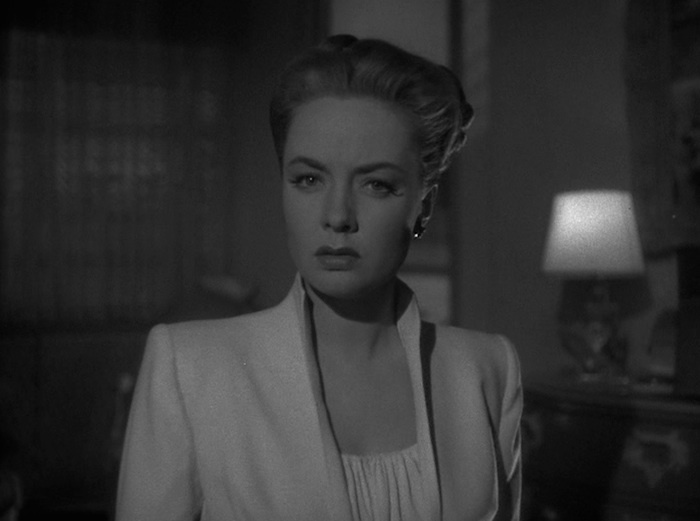 Her roles in Man or Gun and Tension couldn't be more different, but she's terrific in both movies. 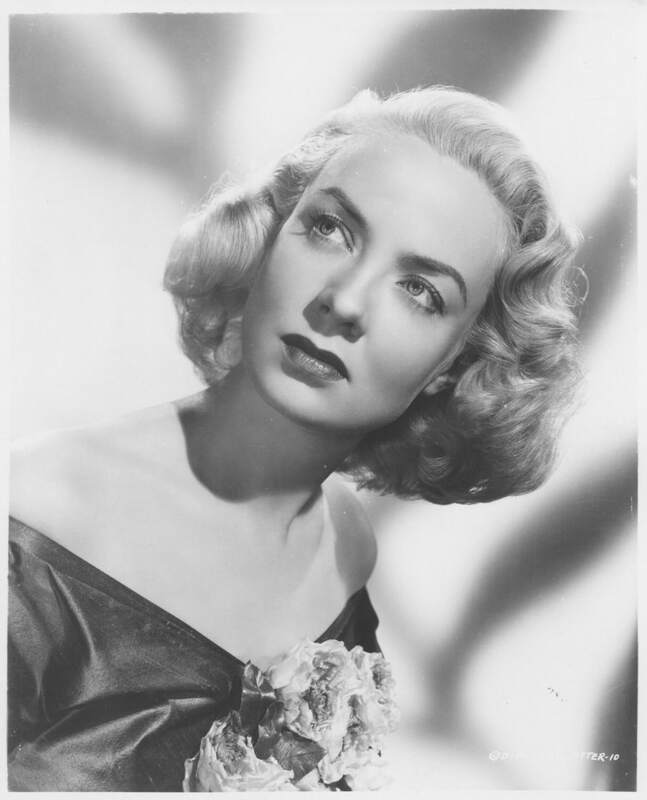 In the 50's, Ms. Totter began working in both film and television, she starred in series like Cimarron City and Medical Center, and retired from the screen with her final televised appearance in 1984 on Murder, She Wrote. Today, Ms. Totter is still living in Southern California, and through a terrific series of internet blips by way of Jenifer, on Sunday morning I received a video in my email that made my year. The video is of Audrey Totter sending Jenifer and me best wishes. The video absolutely blew my mind. It's like someone you watch at the movies turning to the screen and saying, "Oh, hello, Ryan." Happy Birthday, Ms. Totter! We wish you the best on your birthday and will be spending the holiday break catching up on some of your movies we haven't yet seen. PS. If you ever want to know what it would be like to be a detective in the presence of Audrey Totter, I highly recommend the experimental first-person movie, Lady in the Lake, based on the Raymond Chandler novel. 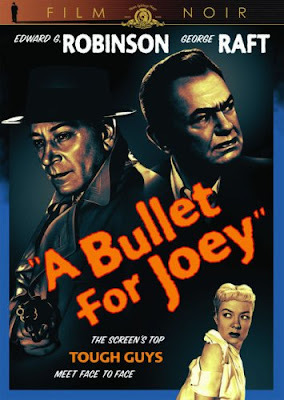 I considered listing this one as a noir, but it's more or less really a 1950's G-Man thiller mixing gangsters, fifth columnists, monkeys and Audrey Totter. The movie opens on Montreal (?) where an organ grinder and monkey wait outside a building at McGill University where they snap picks of an unsuspecting French-Canadian scientist from a camera hidden in the hurdy-gurdy. A cop spots the iffy organ grinder, and gets straight-up murdered by the oddly dated stereotype. Turns out our organ grinder is a Fifth Columnist gathering info on a physicist, and then it gets complicated. I stole this pic from Jenifer's twitter account. I figured that in the spirit of the season, she'd want to share. 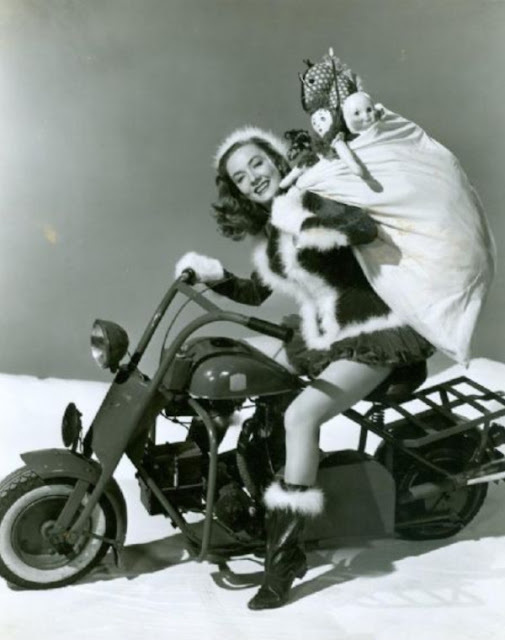 Here we see Audrey Totter atop some sort of motorcycle/ moped be-decked for the season and lugging around a sack full of toys she is, I assume, redistributing rather than showing off or hoarding. 1. Everyone is familiar with Claude Rains from some of his bigger pictures like Casablanca, but he was truly the Michael Caine/ Gene Hackman of his time. He was a terrifically talented performer who fit neatly into film after film, and despite the fact he is obviously and indelibly Claude Rains, he just works in every role, no matter how good or bad the film. 2. A special thanks to Jenifer out in San Fran for making sure I paid attention to Audrey Totter. 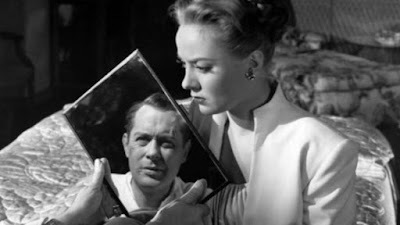 I still haven't seen that many of Totter's film, but she's a terrific talent. The Unsuspected (1947) played a few nights ago on TCM and I managed to record it. It's an interesting film, and I don't think host Robert Osbourne was wrong to make comparisons to Laura prior to the film starting. 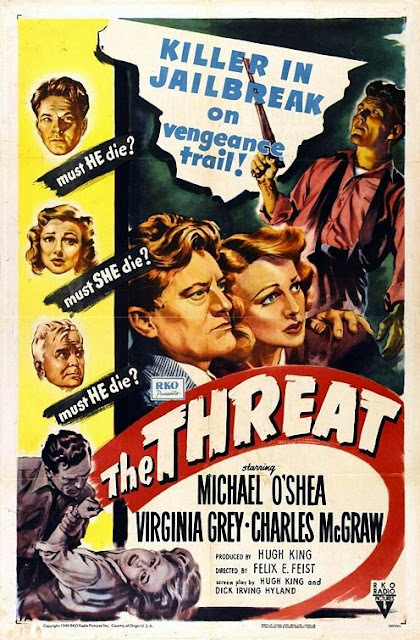 It may borrow an idea or three from the film, but director Michael Curtiz (of Mildred Pierce, Casablanca and many, many other films) instills the film with his own vision and more than enough suspects and twists to keep you going for the duration. 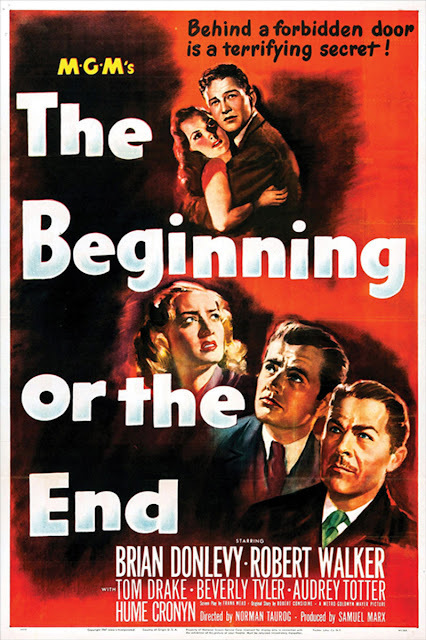 It may not be one of his better known efforts, but it is extremely well directed, even as it hinges on "new technology" to tell its stories - something that often doesn't age well with movies. I know, Audrey. I know. This is the third time I'd watched this movie, but every time it's been years apart. 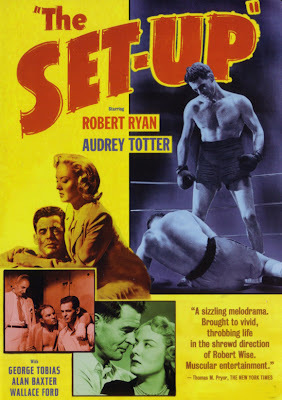 The Set-Up (1949) is the story of an aging fighter, well past his prime, but still taking to the ring on a low-class circuit, fighting at the bottom of crummy bills in shoddy venues. Robert Ryan played a lot of heavies, but here he plays the fighter who truly only knows how to do one thing - and that's get up and get back in the ring again and again, not yet shaken off the promise of the one-in-a-million shot, now with much smaller dreams of respectability. Audrey Totter plays Julie, the woman in his life who has seen his string of losses and watched every fight, seeing the man she loves beaten and bloodied. As the movie begins, they've hit a cross-roads - though it's possible Ryan's "Stoker" doesn't yet fully realize the gravity of the situation. Meanwhile his manager, who can count on Stoker to lose in every bout, takes a pay-off promising Stoker will take a fall, but cuts his own fighter out of the deal, considering it a no-brainer that his guy can't make it and wont' get lucky.